Blockchain For Supply Chain: Ghost In The Machine Or Breakthrough Technology? There is no doubt that this building-block approach, when properly repurposed, can have powerful applications in the field of global trade. The purpose of this white paper is to demonstrate the myriad ways in which the open-source software known as “blockchain” can be applied to international trade. Specifically, we’ll be analyzing the blockchain value proposition and how this technology can enhance supply chain management, logistics operations and ultimately, financial performance. To the above end, we’ll kick things off with some context as to the origins of blockchain and then provide an explanation of what it is. From there, we’ll get into specific examples of how it can be used to support the transactional nature of international business. In an effort to balance the storyline, we’ll also point out some of the pitfalls inherent to the technology, as well as summarize both the structural and public relations work that must be done to make it a widespread commercial reality. The reader may be surprised to learn that blockchain serves as the digital backbone of the cryptocurrency known as bitcoin.” The speculative nature of bitcoin aside, blockchain is comprised of the shared computer code and databases that allow parties to engage in Machine-To-Machine (M2M) trading of the currency. 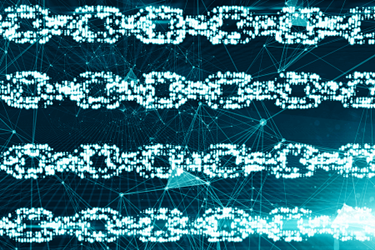 In general terms, blockchain enables the creation, authentication, sequencing, time-stamping, replication and completion of a bitcoin transaction.